Home | Resources | Helping Your Teen | Are New Year’s Resolutions Worth the Hype? Are New Year’s Resolutions Worth the Hype? The New Year is a wonderful time to think about self-improvement. Come January 1st, people want to turn over a new leaf. While investing in your personal well-being and success is never a bad idea, there are certain ways of going about it that will give you a better chance of achieving your goals. When people set New Year’s resolutions, they often focus on the end result, without necessarily giving thought to the journey that will get them there. As a consequence, people set unrealistic goals that they have a hard time meeting. If you do not meet one of your resolutions it is easy to feel like you have failed, and this can discourage you from trying to take positive steps in the future. Instead of setting big result-focused resolutions, try implementing a few habits this year to increase your health and happiness. Don’t just pick a destination, make a roadmap to get yourself there. Take it one step at a time and set realistic goals for yourself. Instead of planning on shedding 15 pounds or getting straight As, focus on the small choices you make everyday that could contribute to your success. There are decisions you can make every day that will improve your lifestyle without being too much of a shock to your system, and without burning yourself out. Here are a few incremental changes you can make to help yourself feel like a new you in 2017. Drink more water. Bring a water bottle to school or work every day. Being well hydrated has lots of benefits for your body. 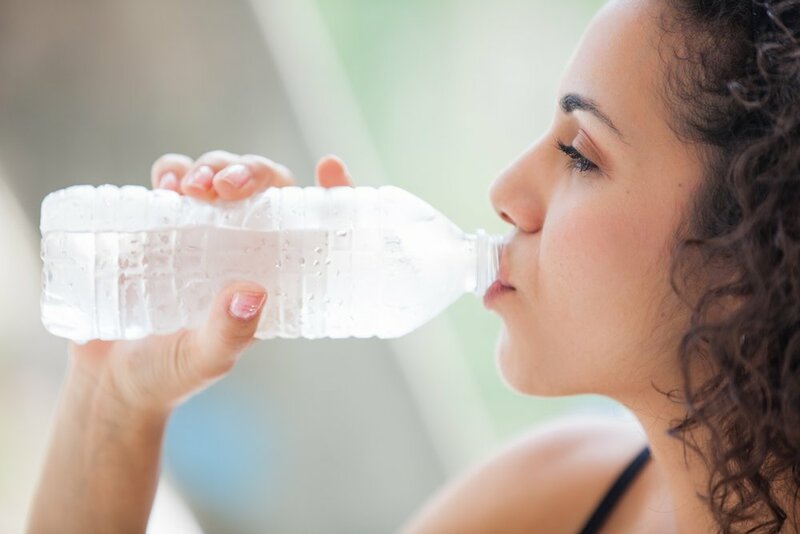 Water will make your whole body run better, giving you more energy and keeping your skin looking fresh. Set a bedtime for yourself. We all know we need a good night’s sleep, but too often we find ourselves up long past our bedtimes. As teens get older, it naturally becomes more difficult to fall asleep early. You do not need to go to sleep at 8pm every night, but set an expectation for yourself that you will always be winding down by a certain time. Your body and mind will thank you for it. Eat breakfast. It jumpstarts your day, and gets your body going in the morning so you can mentally and physically perform well. Skipping breakfast leads to a crash later in the day and throws your system out of whack. Read more books. Always be reading, whether it’s articles, mysteries, graphic novels or something else. Read something just for fun, not because your teacher asked you to. Even a few pages a day will keep you sharp and improve your cognitive function. It can inform you about the world or help you to escape your everyday cares. Some light reading before bed can help you fall asleep, too. Making unattainable New Year’s Resolutions will put unnecessary strain on your mind and body. Instead of promising yourself giant changes, focus on small, easy-to-implement habits that will help you improve a little bit every day. These all seem like no-brainers, but in our hectic day-to-day lives it can be hard to find the time to do even these little things to help keep ourselves happy and healthy. It all comes down to making your wellness a priority. Take the extra few minutes to eat something in the morning or to read a chapter before bed. Be good to yourself this year!